From Popular Mechanics: A great road challenges everyday notions, replacing the familiar–the dull grind of everyday commuting–with the epic: turns, terrain and landscape that adjust our perception of the world. But most of all, it elicits a thrill. These 20 mythic highways inspire us to hit the road. 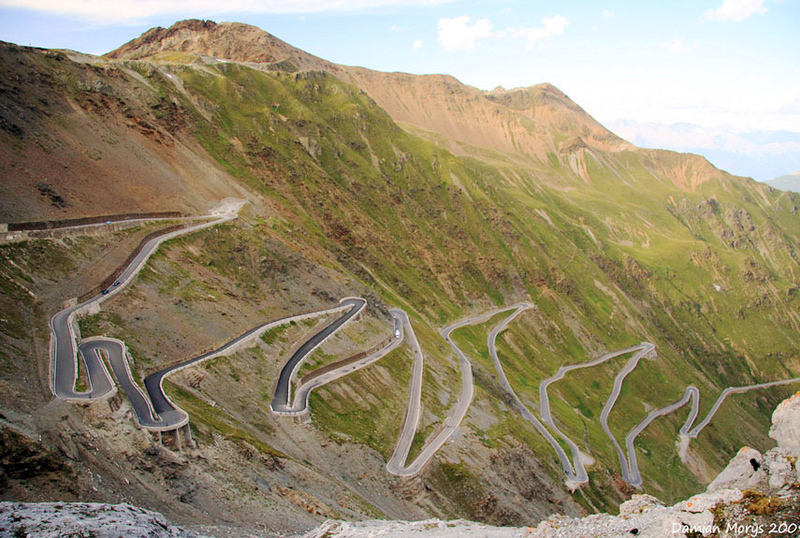 Above: Stelvio Pass. Where: Italy. Nestled 9000 feet up in the Italian Alps, the Stelvio Pass packs 48 switchbacks (numbered by stone markers) into 15 miles. Its daunting turns have become a rite of passage for adventure-seeking drivers, motorcyclists and cyclists. Slicing around the mountain in the relative safety of your car, you might feel a swell of thankfulness for your engine.